SL Masonry – Professional craftsman. Quality masonry. The strength and durability of masonry is beyond question. It’s one of the longest lasting building materials and is extremely fire resistant. For your next project why not use beautiful natural stone, brick, or block as a permanent building exterior. Add to the value of your property at the same time. Entrust your project to the brick and stone experts. 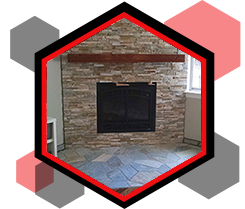 With over 20 years of experience SL Masonry places a strong emphasis in providing quality Old World Craftsmanship and professional service, customized to the needs of our clients. Superb customer satisfaction and great quality work are our prime goals. Our jobs are always done on time and done right.